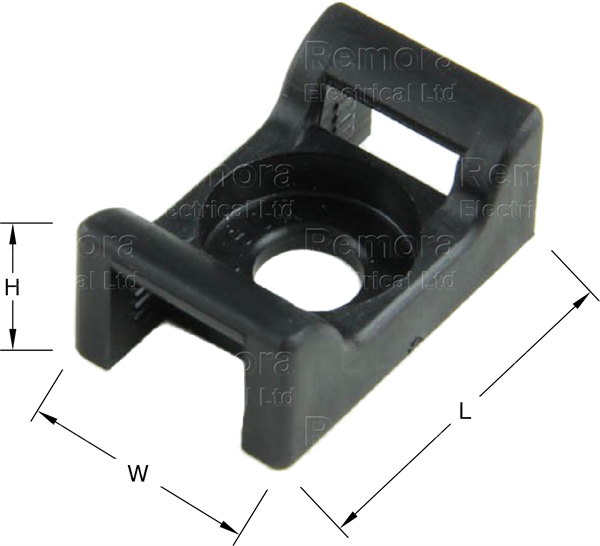 Cable Tie Saddles are designed to provide a secure fixing for heavier cables. These can be simply installed with a screw or bolt. Available in three sizes taking cables ties from 3.7 to 9.0mm width. Secure using M4 or M6 fixing.